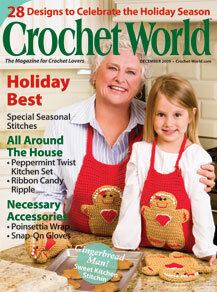 Crochet World magazine is now available in a digital format. the pattern you want to make -- when you decide to make it. 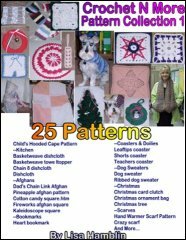 of issues (over 200 patterns), what a deal! Sign up for your digital subscription today, you won't regret it! 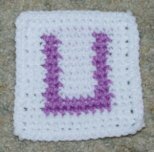 Crochet N More Message Board! Im looking to mane a chevron style afghan but am not sure what the multiple should be ; ex: 3+1 or what ? This is an awesome sight. It touches on the way. -- Anon. Then Jesus said to His disciples, "If anyone wishes to come after Me, let him deny himself, and take up his cross, and follow Me. For whoever wishes to save his life shall lose it; but whoever loses his life for My sake shall find it. For what will a man be profited, if he gains the whole world, and forfeits his soul? Or what will a man give in exchange for his soul? But God, being rich in mercy, because of His great love with which He loved us, even when we were dead in our transgressions, made us alive together with Christ (by grace you have been saved), and raised us up with Him, and seated us with Him in the heavenly places, in Christ Jesus, in order that in the ages to come He might show the surpassing riches ofHis grace in kindness toward us in Christ Jesus. For by grace you have been saved through faith; and that not of yourselves, it is the gift of God; not as a result of works, that no one should boast. For we are His workmanship, created in Christ Jesus for good works, which God prepared beforehand, that we should walk in them. HIS RETIREMENT PLAN IS OUT OF THIS WORLD." to make decisions regarding his kingdom? Both of the above pattern pages have been updated. I forgot to leave off the extra part that was on the letter Q pattern. Dead link removed... Thanks Kimberly Deschane! Dead links removed... Thanks Sandy Holladay! 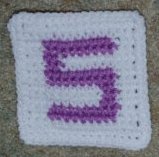 A Spike Stitch is a crochet stitch that is worked into one or more rows below the previous row on a project. It's called a Spike Stitch because it actually "spikes" down, working over part of a stitch on a prior row. 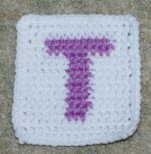 Any normal crochet stitch can be "spiked". except... it is worked in a stitch one or more rows below the normal working row. yo, draw through both loops on the hook. 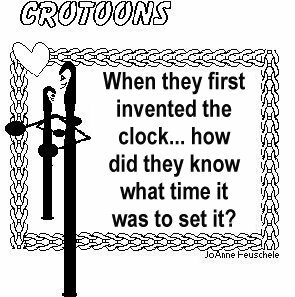 Wondering how many stitches are on the row you just finished? The top of each crochet stitch resembles a little heart. The top edge of a row of stitches looks like hearts stacked on top of one another. along that row to see how many stitches you have. do you have number 72? I pick up the red yarn when the pattern calls for the first red stitch. I begin the red in the last step of the last white stitch just prior to the first red stitch. Then I carry the unused color along to where I need it again on the next row. (DC between next 2 sts) across. Visualize each double crochet like a little fence post. All you do is place the double crochet between two posts... all across the row. I'm a cancer patient on Chemo doing great. Came across your site, so I thought I would have a look. Your alphabet coasters have been such a blessing to me. My husband lost his job last spring, but praise God...was hired in August. 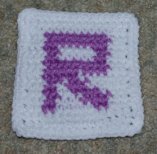 Knowing I would be unable to buy gifts this Christmas, I searched for a crochet pattern that would be personal and practical. The coasters are amazing. 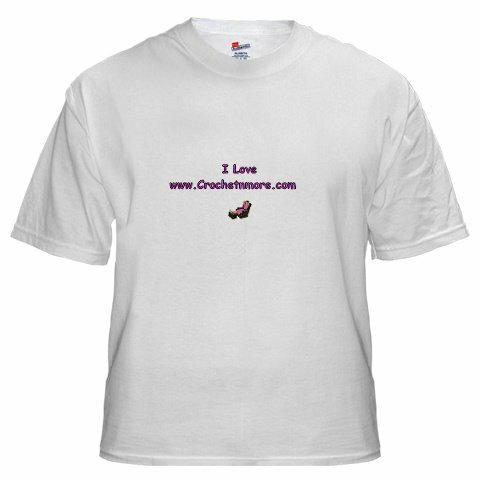 my heartfelt thanks for sharing these designs! God Bless! 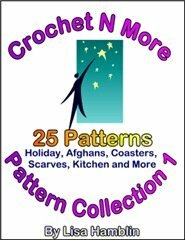 Thank you for being here with all the free patterns. I am just learning, so nice to be able to brouse and look for easy patterns. Thank you so much letting me know I failed to list the two stitches at the beginning of the pattern. I have updated the pattern page to include those stitches at the beginning of the pattern. By all means... you have my permission to use any of my patterns for this project. so I know how much little things can comfort our servicemen and women. The guys might not like the flowers but we have alot of ladies defending our country too. May God bless you exceedingly for your works! Sorry I wasn't on line yesterday. I'm glad you like the pattern. I'm sorry that you broke your ankle. I know several people here that have had foot/ankle breaks lately. It must be a common thing right now. Anyway, the first part of this pattern is made using the mesh bag that oranges come in... or a similar type of mesh. For Row 1 using the prepared netting and a hook size P you make 4 chains. Then work 11 double crochet stitches into the very first chain you made. Then you join with a slip stitch in the top of the beginning chain 4. That's the scrubbing part of the dishcloth... now you fasten off and weave in the ends. This 96-page book is filled with numerous types of Crobot patterns as well as well-illustrated instructions for the crochet stitches, assembly stitches and other embellishments used in the patterns. The patterns are well written, some of the book is written in a small font but the pictures are wonderful. NOTE: This book comes to you with a safety warning regarding the small parts used in the patterns. Therefore, please use your own discretion as to the age of the child you intend the gift for. A Sunday school teacher asked her students to draw a picture of their favorite Old Testament story. As she moved around the class, she saw there were many wonderful drawings being done. Then she came across the drawing of one little boy. He was busy drawing a man driving an old car. In the backseat were two passengers. The little boy seemed surprised at the question. A friend of mine is a deputy with the sheriff's department canine division. One evening, the deputy was dispatched to the scene of a possible burglary, where he discovered the back door of a building ajar. He let the dog out of his patrol car and commanded it to enter and seek. Jumping from the back seat, the dog headed for the building. After lunging through the doorway, the dog froze and backed out. My friend was puzzled until he investigated further. Then he noticed the sign on the building: "Veterinarian's office." I ain't had no fun all summer. "Now how should I correct that?" Little boy: Get a hobby. Memorial Day weekend was coming up, and the nursery school teacher took the opportunity to tell her class about patriotism. "We live in a great country," she said. "One of the things we should be happy is that, in this country, we are all free." One little boy came walking up to her from the back of the room. He stood with his hands on his hips and said. . . . When my husband and I decided to rent a car and drive to Oregon to visit family, we discovered that many rental agreements come with restrictions. After several calls, I wearily asked a sweet young agent if her company had any restrictions on taking its rental cars out of state. After a bewildered pause, she replied, "Well...you have to bring it back." The psychology instructor had just finished a lecture on mental health and was giving an oral test. Speaking specifically about manic depression, she asked, "How would you diagnose a patient who walks back and forth screaming at the top of his lungs one minute, then sits in a chair weeping uncontrollably the next?" A young man in the rear raised his hand and answered, "A football coach?" During a home renovation, my grandfather was watching me drive in nails. "You hammer like lightning," he said. He said, "You never strike the same place twice." While reviewing math symbols with my second-grade pupils, I drew a greater-than (>) and a less-than (<) sign on the chalkboard and asked, "Does anyone remember what these mean?" A few moments passed, and then a boy confidently raised his hand. "One means fast-forward," he exclaimed, "and the other means rewind!" When my printer's type began to grow faint, I called a local repair shop, where a friendly man informed me that the printer probably needed only to be cleaned. Because the store charged $50 for such cleanings, he told me, I might be better off reading the printer's manual and trying the job myself. Pleasantly surprised by his candor, I asked, "Does your boss know that you discourage business?" "Actually it's my boss's idea," the employee replied sheepishly. "We usually make more money on repairs if we let people try to fix things themselves first." The kindergarten was learning the letters of the alphabet. "What comes after 'T'?" the teacher asked. The professor loaded his class down with enough problems to keep them busy for several hours. After 15 minutes, when the instructor had settled comfortable into his swivel chair, he was interrupted by a student asking, "Sir, do you have any more problems?" Taken by surprise, the instructor asked, "Do you mean you have already finished all the problems I assigned?" "No," said the student. "I could not work any of these, so I thought I might have better luck with some others."